Arthur Masuaku’s recent performances have made it clear to West Ham United manager Manuel Pellegrini that an upgrade is needed at left-back. Understudy Aaron Cresswell doesn’t appear to have the confidence of the Hammers boss, meaning that a summer move for Arsenal stalwart Nacho Monreal is the prime solution for the club. The 32-year-old has been a pillar of consistency for the Gunners since he joined from Malaga in 2013, but his current contract expires at the end of this season. Due to his age it’s unlikely that Unai Emery will offer the Spaniard a new deal, meaning West Ham would be free to attempt to convince the veteran to make the short trip across London. The move would be reminiscent of the Hammers’ free signing of right back Pablo Zabaleta from Manchester City in 2017. Like the Argentinian, Monreal would bring a winning mentality and masses of experience to the London Stadium. Also like Zabaleta, he is still operating at a high level for his club. 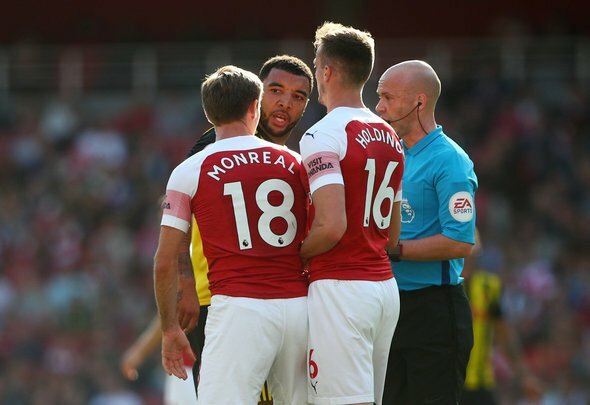 The Spain international has fended off the challenges of Kieran Gibbs and Sead Kolasinac for the left back shirt at the Emirates Stadium during his time in North London, proving that he is up to the challenge of competing with whoever the Hammers have at the position next term. His wages, too, are reportedly an affordable £65,000-per-week [Source: Spotrac]. On both a sporting and financial level this is a move that simply makes sense for Pellegrini’s team. Monreal is dogged in his defensive duties, something that certainly cannot be said for current Hammers incumbent Masuaku. He’s good getting forward, too. He’s no Kieran Trippier in an attacking sense but he regularly contributes to Arsenal’s forays forward and possesses an excellent left foot. His crossing ability would be a valuable asset for the club, while the intangibles he possesses cannot be taught and simply do not exist in either Masuaku or Cresswell. If Pellegrini wants to sort his problem position of left back out then he must remain patient and ensure he snares Monreal on a free next summer – it could be a move that takes the club to the next level.